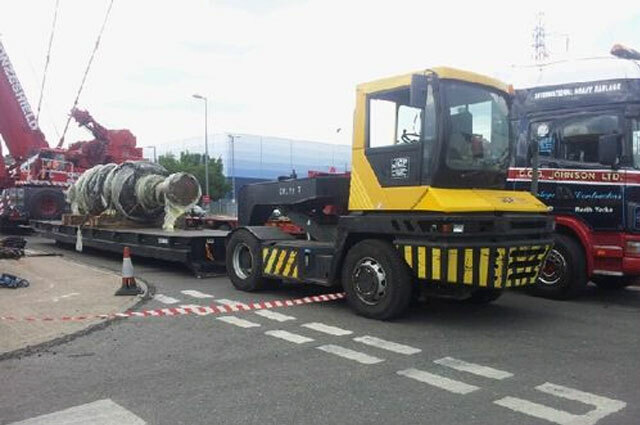 Tractor Hire - Tractor and Trailer Hire - JC Plant Ltd.
We provide on-site tractor and trailer hire focused towards oil refinery shutdowns, power station outages, the power distribution network and major construction projects. The drivers we provide are both multi-skilled and exceptionally well trained to operate all equipment of this type. 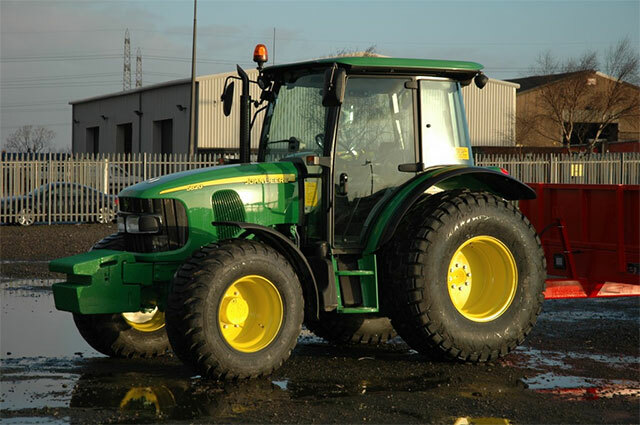 Our light site tractor hire consists of a selection of operated or non-operated 4wd John Deere towing tractors. Our heavy site tractor hire consists of Terberg RT220 units. Low level trailers up to 100t can be utilised. Safety Notice (Trailer Towing): There are two main configurations of trailer, single pivot and double pivot. Due to the vast difference between how the two types behave when used, a different training course is required for each. It is very important to make sure that, whichever type of trailer you are using, the tractor has a compatible hitch; the single pivot (imposed load) trailer will need a hook and the double pivot (turntable) trailer will need a pin and clevis. If in any doubt about your level of training, please contact your training provider. Safety Notice (CPCS (A33) Agricultural Tractor): This training is for the tractor only and may not cover the towing of a trailer. Employers are advised to check whether any training has actually been carried out using a trailer; DO NOT take it for granted. In order to comply with Health and Safety at Work Act and PUWER additional training may be needed to fill the knowledge gaps . This information was provided by the HSE and CITB. Do you have any questions about tractors and their safe use? We’d be happy to help.